Minister Mahinda Samarasinghe says that the media reports, which had alleged that the President pointed the finger at India over an alleged assassination plot targeting him, was the result of an organised and deliberately attempts to create a conflict between the two countries. Quoting several unnamed sources, who were reportedly present during the Cabinet meeting, The Hindu had reported that President Maithripala Sirisena accused India’s Research and Analysis Wing (RAW) of plotting his assassination. However, the news report was rejected by various sections of the government while President Sirisena had even called Indian Prime Minister Narendra Modi yesterday and categorically rejected the reports in sections of media about him alluding to the involvement of India in any manner whatsoever in an alleged plot to assassinate the President and former Defence Secretary. 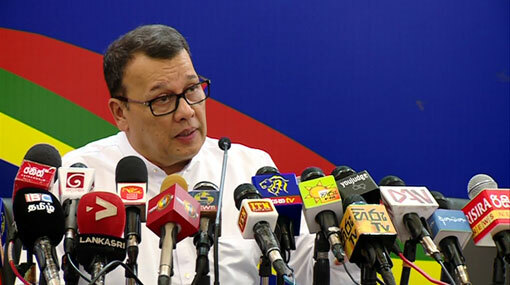 Speaking at a SLFP press briefing in Colombo today (18), the Minister of Ports and Shipping said he sees the matter as extremely dangerous and blasted the supposed Cabinet members who had leaked such inaccurate and damaging information to the journalist in question. “Because of the President moving in immediately and clarifying the situation and stating categorically that no such thing eventuated in Cabinet, I think we were able to avoid a crisis,” Samarasinghe said. The minister also stated that the President, during the Cabinet meeting on Tuesday, clearly emphasized that the Eastern Terminal of the Colombo Port will not be handed over to any country. The President stated that Eastern Terminal should be operated by the Sri Lanka Ports Authority (SLPA) and that it cannot be given to any other party through a private public partnership or any other means because Sri Lanka should have at least one deep sea port. “The West Terminal if they (India) are willing to make the investment we can fast track that,” he said, responding to a question.